As an avid reader, I enjoy learning about the authors' creative processes. So when Rebecca gave me the opportunity to participate in her excellent blog, I thought I would write about how I created one of my favorite characters. 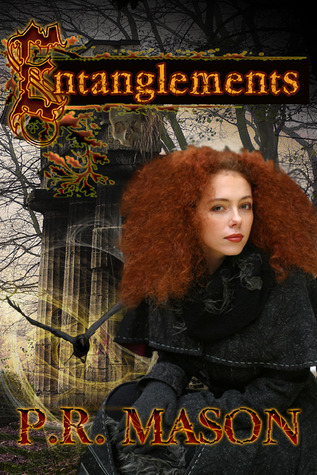 ENTANGLEMENTS, my recent release, is a paranormal romance/urban fantasy about a teen who enters a dangerous alternate dimension to rescue her stepsister. In plotting the story, I wanted to include a villain who's more than just a stock baddie. He had to be dark and evil, of course. But I didn't want him to be like a slasher movie automaton, acting inexplicably except for some psychopathically insane dementia. To me, an evildoer's far more insidious and scary if there's an understandable motive to his actions. So I set out to create a villain who's also a hero...or at least one who thinks he's a hero. I started by considering that much of Entanglements takes place in a dimension where history has taken an alternate path to that of our universe. I imagined a place largely frozen in Victorian times. It's a London where paranormal creatures abound. In researching Victorian England to come up with an historical figure that could serve as the basis for my villain, I sought to find someone who could have, if events were slightly different, come into a position of power and authority. The perfect candidate presented himself in the personage of His Royal Highness Prince Leopold, Duke of Albany, the son of Britain's Queen. My decision to use Leopold was solidified when I learned he was afflicted with hemophilia, a genetic disease that prevents blood clotting and significantly shortens the life of a sufferer. Even a trip and fall can result in internal bleeding and death...which is what happened to Leopold in real life. As a side note, a bit of unexpected synergy occurred in the selection of Leopold as the villain. One integral part of the Entanglements plot is that heroine, Kizzy, accidentally opens a vortex/portal to the Prince's world. In researching one such alleged vortex located in my hometown of Savannah, Georgia, I discovered that the symbol purportedly drawn to open the portal was a swirling circle. I was pleasantly surprised to discover that a glyph used by Queen Victoria included this same swirl. As Entanglements begins, the human race is on the verge of extinction in Leopold's world. Even though "free-range" humans are being rounded up and put into a feedlot system, the food supply for Leopold and his subjects is dwindling. He views the heroine, Kizzy, as the key to opening the portal to our world for exploration and plundering. Obviously, Prince Leopold thinks he's the hero of the story. And to her surprise, Kizzy sort of understands his logic. She recognizes the morality of monsters feasting on human flesh and using their bones as toothpicks is relative. I hope I achieved my goal of creating a heroic villain or villainous hero. One the reader can empathize with even as he scares them silly. Thank you so much Ms. Mason for being on the Spine today! Below is more info on this awesome author, her books, and a giveaway!!! P.R. Mason writes steamy contemporary and paranormal romance under the name Patricia Mason and young adult paranormal romance and urban fantasy as P.R. Mason. She escaped from the snowy Midwest winters of her youth by moving in 2001 to the strange and wonderful city of Savannah, Georgia to pursue her dream of being a novelist. Pat's background is eclectic. She was an Assistant District Attorney and for a number of years was the owner of an antique shop which was home to a number of ghosts. Her home is ruled by two black cats, one of whom was rescued from the most haunted cemetery in the southeast. EVE has always played by the rules, afraid to take chances. HOLDEN wants to change that. She's certain they've never met before...or have they? Holden seems so familiar, but who is he? What is he? Yesterday her biggest challenge was trying not to bomb on her SATs. Today, paranormal forces have transformed an ordinary high school dance into a test of fate vs. free will and loving Holden could be Eve's end. 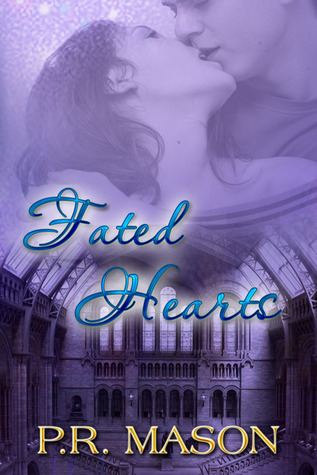 *Author note: Since Fated Hearts is a novella, it is intended to be a complete story which is much shorter than a full-length novel. Therefore, it can be enjoyed and finished in one sitting. An excerpt of my full-length urban fantasy/paranormal romance, Entanglements, is included at the end of the ebook. To enter simply fill in your name and email address in THIS FORM.